LDC have put together a number of academic workshops designed to encourage staff and postgraduate student development. For information regarding the December programme, please click here. The pilot scheme opened on 15 November 2018 and runs until 21 December 2018. Please note that participating in this pilot is entirely voluntary. Further information about the EU Settlement scheme and the pilot scheme is available on the HR webpages which can be accessed by clicking here. Please note, in order to take part in the pilot, you should download an app that is only accessible if you have an Android mobile phone. The WISE scheme has got off to a good start with 7 projects accepted (6 research and 1 admin) which so far attracted 35 applications from students (18 from MSc and 17 from UG). The first interviews took place this week and we have appointed the first two interns for the CAGE project led by Arun Advani. The project will start this term and will engage the students in conducting qualitative analysis of the back catalogue of the CAGE working papers and other communications related tasks. You can find out further details of projects open to the students. Christmas is coming and you are warmly invited to attend our PG & Staff Christmas Party on Thursday 29 November from 19:00 in Panorama Room, Rootes Building. Perhaps the most anticipated event of the year by staff and PG students, this will be a fantastic opportunity to socialise, dance and have an overall great time with our Postgraduates. Please feel free to invite your partners and family. Christmas themed dinner will be available throughout the event. Please confirm your attendance by return of e-mail to economics dot events at warwick dot ac dot uk, mentioning any dietary requirements you may have. Interesting in stretching your legs once or twice a week? Members of the Department have been regularly running every Monday and Thursday at 12:30pm completing a 5k run around the campus. If you would like join them, email Neil Gatty (N.J.Gatty@warwick.ac.uk). They welcome all runners of all abilities. Arun Advani presented "The Dynamic Effects of Tax Audits" at the National Tax Conference in New Orleans on 16 November. Chris Anderson gave a keynote address at the “Sports, Data, and Journalism” on Football Doesn’t Play Moneyball” conference on 25 October. Here’s a summary of the event held at and organised by the University of Zurich’s business school. Chris also gave a presentation at the business school of the Universidade do Minho in Braga in Portugal titled “Elections, Inside Out” on November 15. Christian Soegaard presented his research paper "The Trade Effects of the Brexit Announcement Shock" at INRA in Rennes, France on 20 November. 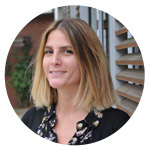 Silvia Granato is in the spotlight for this week's new starter interview - find out more about her. The University’s overall economic impact in the West Midlands in 2016-17 was £1 billion according to a new independent report. You can read more about the regional impact on the insite homepage. An opportunity to enter your photographs on the theme of ‘Hope, Democracy and Development’ by 20 December to be in with a chance of seeing your images in a Coventry exhibition and of winning a cash prize.